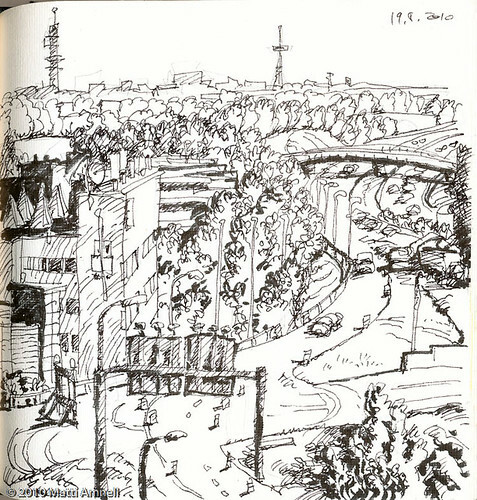 Sketchbook-helmikuu 18, 2010-004, originally uploaded by Brin d’Acier. I have many long phone conferences, so I doodle. Normally I sketch what I see from my office window. 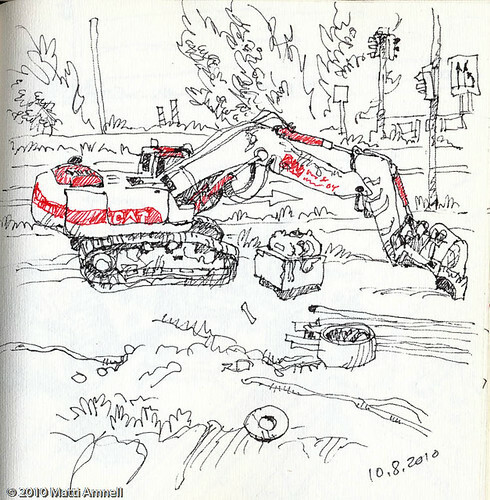 Sketchbook-helmikuu 11, 2010-003, originally uploaded by Brin d’Acier. 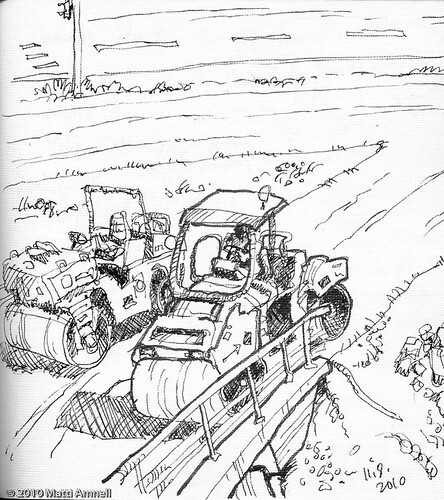 Sketchbook_August 10, 2010_1, originally uploaded by Brin d’Acier. 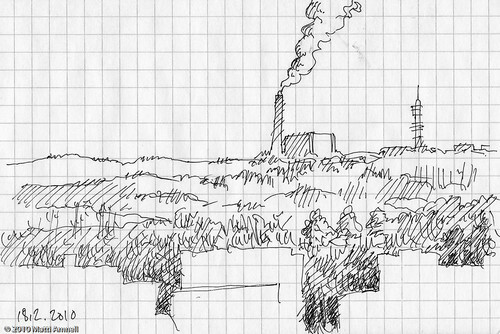 Sketchbook_August 11, 2010_2, originally uploaded by Brin d’Acier. Roadworks under my office window in Espoo, Finland. Phone doodle 19.8.2010, originally uploaded by Brin d’Acier. There are benefits to really long and pointless teleconferences. 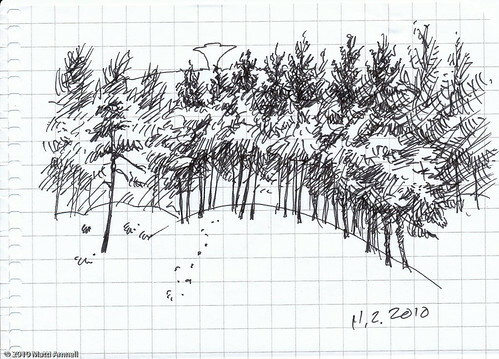 This entry was posted in Doodles, Sketchbook and tagged espoo, finland, ink, landscape. Bookmark the permalink.